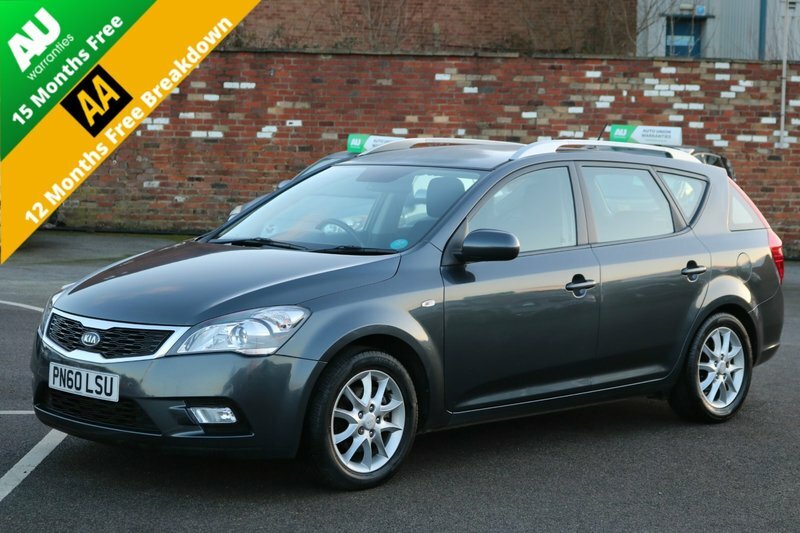 THIS KIA CEED 2 COMES IN GREY WITH FULL SERVICE HISTORY (LAST SERVICED ON 68K MILES). LOW WARRANTED MILEAGE. 2 KEYS. 1 FORMER KEEPER. MOT. FOG LIGHTS. ARMREST. EXCELLENT CONDITION FOR ITS AGE AND MILEAGE. VERY WELL MAINTAINED AND DRIVES LIKE BRAND NEW. VERY CLEAN INSIDE AND OUTSIDE. DRIVE SUPERB. NOT TO BE MISSED. FIRST TO VIEW WILL BUY!!!!!!!! !, Next MOT due 25/11/2019, Full service history, Full Service History, Last Serviced On 68K Miles, Low Warranted Mileage, 1 Former Keeper, Excellent Condition, Excellent Bodywork, Excellent Interior, 16in Alloy Wheels (205/55 R16V) Style A, Air Conditioning, Alarm, Front Electric Windows + Safety (Auto Up and Down with Sensor), Integrated CD Audio with MP3 Player, USB and AUX Port, Tinted Glass, Front Armrest, Power Socket, Audio Remote, Multi Functional Steering Wheel, 2 Keys, Front Fog Light, Rear Fog Light, 12V Power Outlet (Centre Console), 3 Grab Handles (Front and Rear), 3x3 point rear seat belts, 6-Speaker Audio System, ABS with BAS, Air conditioning, Airbags, Traction control, Third Brake Light, Steering Wheel Mounted Audio Controls, Remote Central Door Locking with Folding Key, Rear Wiper/Washer, Remote central locking, Power steering, Radio, Sports seats, Front/Rear Cupholders, Alloy wheels, Armrest - Front, Body Coloured Bumpers, CD Player, Central locking, Centre Rear Seat Belt, Deadlocks, Child locks & Isofix system, Driver and Front Passenger Seat Height Adjuster, Drivers Airbag, EBD, Electric door mirrors, Digital Clock and Calendar Display (Centre Console Display), Folding rear seats, Front Fog Lights, Electric windows, Height adjustable drivers seat, Heated Rear Windshield, Immobiliser, Steering Wheel Mounted Trip Control (Distance, Fuel Consumption, Speed, Time, Door Open). 5 seats, Grey, 2 owners, WWW.REDWOODMOTORSLTD.CO.UK FOR FULL STOCK LIST. CREDIT/DEBIT CARDS ACCEPTED. FINANCE ARRANGED..